Do you ever get the feeling that a specific place has so much history, you can practically feel it? Not just because of beautiful buildings that take you back to another era. Or because of quaint winding streets with cobblestones polished smooth over time. But because of history so real, so woven into the present time that it’s palpable all around you and you can almost feel Ancient Greek poets strolling by your side, medieval warriors storming down the hill from the castle as you admire the view from the beach and the heat from volcanic ash as it covers a million-year-old forest. If living history – not just studying it, but truly living it in a unique way is part of your dream vacation, then Lesvos is the ideal island for you. 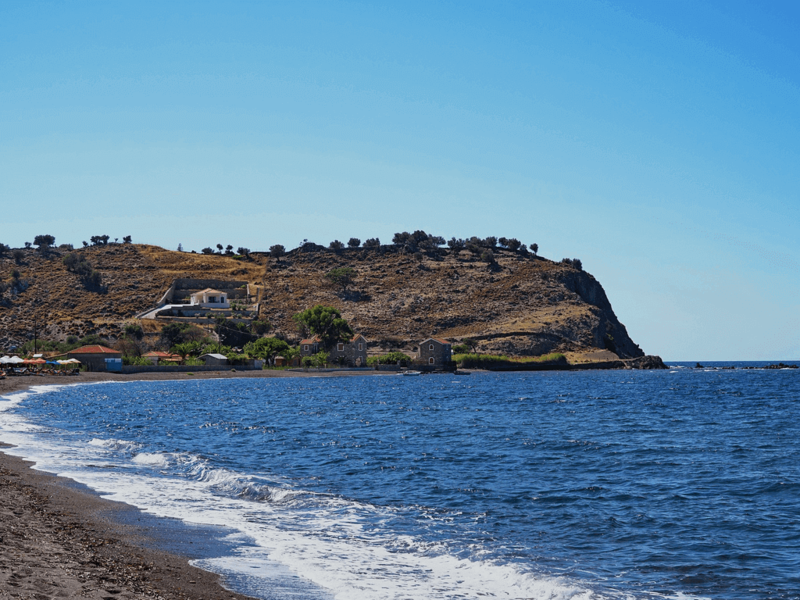 Lesvos, also called Mytilini by the locals after its capital, is a beautiful island found in the Northern Aegean Sea and is a testament to living history. It’s the third-largest island in Greece and it offers you a one-of-a-kind treasure composed of stunning castles and buildings, pristine natural landscapes including a petrified forest frozen in time, a golden coastline caressed by cool sparkling blue waters, and a poeticism that’s a legacy left by the Ancient Greek poetess Sappho. Take some time to sift through the island’s many jewels and you’ll be enamored by Molyvos and the eerie and imposing Gattilusi castle that crowns the top of the hill since the Middle Ages while centuries’-old stone homes cascade down the slopes to the sea. Explore what will feel like a desert outside Sigri village, but will unveil acres of petrified trees, their trunks splashed with red and yellow hues after millions of years of exposure. Stroll through Plomari village, the birthplace of Lesvos’ world-famous ouzo, and ask the locals for their brewing secrets. Hike and mountain bike through the island’s lush forests and along winding rivers – you’ll be in for a treat if you’re an avid eco-tourist. Buildings that take you to an elegant cosmopolitan era, castles that seem to hold the ghosts of knights and their beloved ladies, forests lush with chestnut trees – Lesvos is a dream destination for everyone, whether you’re an avid historian, dedicated eco-enthusiast, or devoted food connoisseur. If you want to peek into the past, into beautifully preserved homes up in the mountain cooling in the shade of chestnut trees, into pottery workshops paused in the traditions of the last century, and into ateliers where intricate carpentry becomes religious art, you’ll find it all in Lesvos. Villages up in the mountain beckon explorers down winding cobbled streets, seaside villages lull tourists to the sound of waves rhythmically lapping against fishing boats that bob by wooden tables sprawled outside sun-splashed tavernas, medieval castles keep watch over quaint towns and keep secrets whispered about by locals. Take your time to stroll through villages, combining your love of the past with beautiful hikes through neighboring forests and along gushing rivers. Lesvos has an illustrious artistic tradition, and little ateliers and traditional workshops dot towns and villages throughout the island. If you want a truly unique look into the daily life and values of Lesvos’ natives, admire the paintings, ceramics and woodworking local artists are so very proud of. And ask questions – about local lore and traditions, about the inspiration behind their art. You’ll find it all stems from the island’s history, from past lore that runs centuries to color present-day Lesvos. Begin your journey through Lesvos by exploring Mytilini Town, the island’s capital. 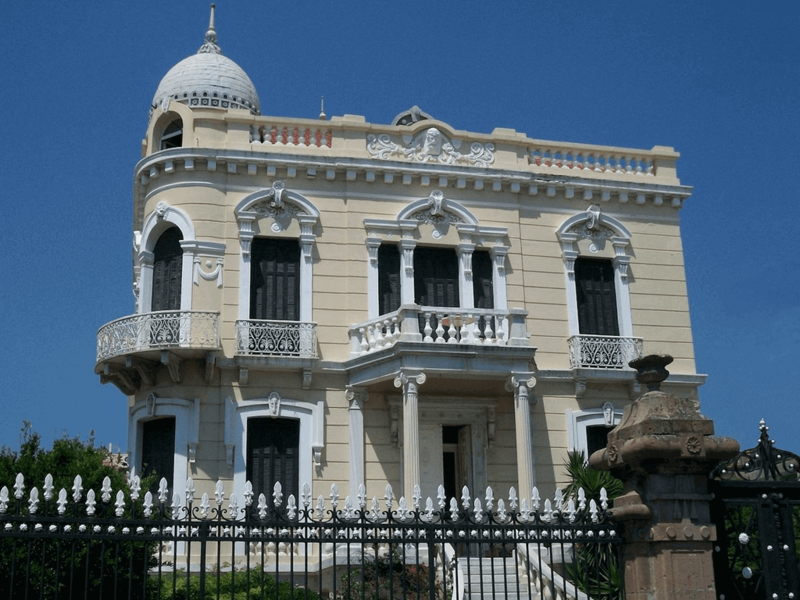 Built across seven hills and crowned by a medieval castle that’s one of the grandest in the Eastern Mediterranean, this town is a veritable mosaic of multiculturalism. Stroll down winding cobblestone paths and you’ll discover stunning mosques huddled beside majestic cathedrals, a soaring clocktower looking over Oriental-style buildings, and Venetianesque facades adorned with stone-sculpted cupids that stand alongside Neoclassical mansions. Begin by walking through shop-lined alleys that bustle with people during the day and make it a point to pop into stores for traditional sweets, Lesvos’ trademark ouzo, and wonderful ceramics and wood sculpted works of art. As you stroll through and admire the city’s many secret gems, stop to admire some of Lesvos’ most significant churches and cathedrals. The majestic Cathedral of St. Athanasios houses relics that belong to St. Theodorou of Byzantiou – the island’s patron saint. Then go to the Church of St. Theraponta which was designed by a famous architect and was built on the site of the Ancient Asklypeion. For a look into the island’s Ottoman past, explore the Geni mosque, built in 1825, and the Charsi Hamam. Charsi Hamam is the building that housed the Turkish baths – it now is a venue for cultural events. If you love evening walks, this is the perfect time to explore as the town’s pier is a focal point for the locals – especially because the sunset-tinged Aegean seems to burst into flames of orange and peach and reflect orange hues on the many stunning Neoclassical buildings that line the jetty. Then look up towards the castle – when lit for the night, it seems otherworldly, as if locals from centuries ago barricaded themselves behind high stone walls and lit thousands of candles. In fact, Mytilini’s castle, which is located in the north-eastern corner of the city, is a must-see for architecture and history buffs alike. Built in the 5th C by the Byzantine Emperor Justinian and then fortified by the Genoese and Venetians, it’s still so well preserved you’ll feel like you walked back in time. As you cross the threshold through tall wrought-iron gates, imagine knights riding past you as they stampede down the hill, or locals hurrying behind the safety of centuries’-old walls to escape pirates. Explore the many beautiful stone-built inner walls where supplies were stored and where the armory was located. There are still traces of Roman, Byzantine, Genoese and Ottoman fortifications, so look at the architecture for a living timeline. Admire the turret that towers over you and then head to the Byzantine reservoir which can hold up to 4000 cubic meters of water. If you love exploring the architecture of castles, make it a point to ask about the winding network of tunnels below the fortress – they extend into the hill. Take advantage of the castle’s beautiful medieval allure and attend one of the many cultural events that are hosted there. Stay in the Middle Ages by visiting one of the island’s most beautiful medieval towns – Molyvo, or Mythimna in Ancient Greek, which means stone and hints to the lead found in the soil beneath the town. Bordered by the sea and crowned by Gattelusi Castle with pockets of thick green trees in between, you’ll need to take your time to explore Molyvo’s many treasures. Begin by slowly walking up the hill, taking the labyrinth of cobblestone alleys that wind through the town’s historic homes. As it’s a historic town, its status preserved the medieval feel of its buildings under cultural laws. Stone homes with colorful shutters and doors, their reds and yellows highlighted by the sleety greyness of the stone, stand now as they did centuries ago. Molyvos is an artsy town, a beacon for writers, artists, and scholars from all over the world. Make it a point to stop by their ateliers and admire their work, and maybe even purchase a painting or sculpture to take back with you. Stop for lunch or dinner at a quaint taverna and you’ll be regaled by traditional Greek dancers as you dine under a canopy of grapevines. As you continue to make your way up to Gattelusi Castle, stop by Taxiarchi Basilica built in 1795 and take in the mystical feel of this very old church. But once you reach the Medieval castle overlooking this beautiful town, you’ll see why the steep hike through town was worth it. From the thick oak door plated in metal that opens to the center of this Byzantine castle, to the stunning views it affords over the Aegean and the mystical aura it’s infused with when eerily illuminated at night, you’ll get the sense you’re transported back in time, standing on the fortifications as you survey the seas for incoming pirates and invading armies. In fact, Gattelusi Castle played a pivotal role as the main fortress in the whole of the Northern Aegean. Take in a concert or play – as a cultural venue, this castle is unbeatable. Continue your exploration by walking through Agios Stefanos village in the Mantamados area. If you want to take a peek into what it was like to run a traditional pottery workshop, this village will take you back a century. Once a pottery center that exported ceramics to Egypt and Asia, you’ll feel like the area’s most famous potter, Mandamados, is still at work somewhere, huddled over his potter’s wheel. Dotting Agios Stefanos you’ll find a number of workshops frozen in time, crafting household items using Mandamados’ timeless techniques. Purchase Mandamadiotika koumaria, which are pitchers made from argyle clay that are perfect for keeping water cool. Admire the traditional minimalistic designs that are the area’s trademark to this day. Of course you can’t fall in love with Lesvos until you stroll through Plomari village. Known for its famous ouzo, you’ll find a number of traditional distilleries that produce Ouzo Plomari. Drop in and ask for a tour as you admire the distillation process. 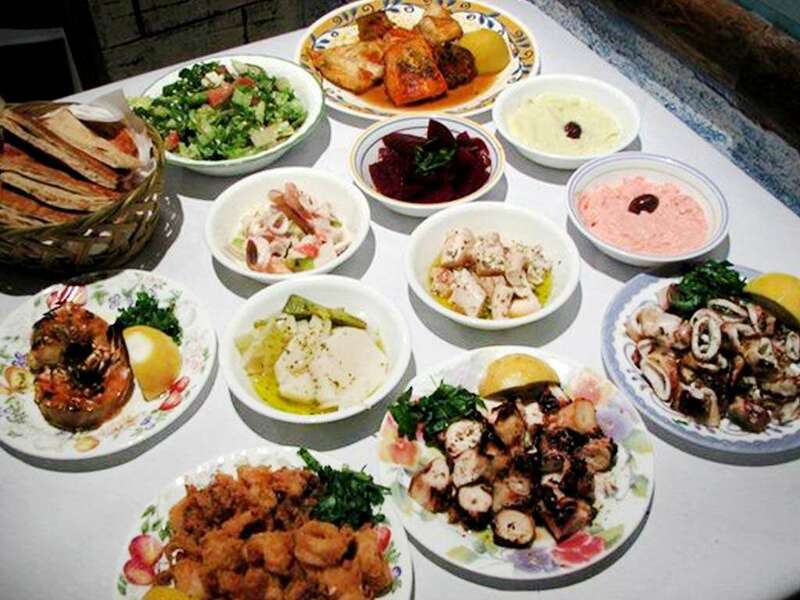 Make sure you stop by a taverna and ask for appetizers as you sip on the island’s famous Ouzo. From there, go to Eressos village and stroll through winding alleys that were once the home and birthplace of the poetess Sappho. You’ll see traces of this ancient town, which played a prominent role in Ancient Greece since the 11th C BC. Admire the sea-shell crafts on display throughout the town’s quaint shops. Tour the Archaeological Museum and you’ll be able to glimpse life in Ancient Greece, then walk through the remains of the Church of St. Andrew that dates back to the 5th C.
A huge part of this island’s charm lies in Lesvos’ ecological diversity and importance. Though you might think it arid when arriving at Mytilini town, you only have to venture farther into the countryside to appreciate the natural treasures tucked away from the main town. If you’re a nature-lover, you’ll be enamored by the biodiversity in the island’s wetlands – one of which is part of the Natura 2000 network, its twisting rivers, its lush chestnut forests perfect for hikes and mountain biking, and wonderful opportunities for bird watching. For a once-in-a-lifetime opportunity, explore Lesvos’ Petrified Forest outside Sigri Village. You’ll think you’re walking through a desert, but when the first petrified trees emerge on the horizon, you’ll think you’re the only witness to the after-effects of a nearby volcanic eruption. The Petrified Forest is a living timeline of the Aegean’s geological history. Over 20 million years old, the Petrified Forest recorded the fate of the area’s animals, plants and climate after a destructive volcanic eruption covered the entire region in volcanic ash, preserving everything as it was, intact, frozen in a single moment of life-changing history. Follow the stone paths – carefully hand-laid so as not to disrupt the integrity of the forest – that lead you through this one-of-a-kind landscape and you’ll be awed by towering petrified tree trunks that soar to 22 meter heights. Admire the bursts of colors in the tree-rings of the trunks. Reds and yellows create a marbled effect, which is the result of volcanic ash and acidic substances acting upon the wood. You’ll be awed by the petrified root system, pushing through the ground – visible proof that the forest was petrified in place. Make it a point to look for some of the tallest tree trunks in Europe. Then head indoors to the Geological Museum for a detailed journey through the area’s geology. A unique feature of this museum is its earthquake simulation room. A model classroom built on a platform is a makeshift ride for your experience of an earthquake with a magnitude of your choice. Just hang on and get a taste of a huge earthquake. If you’re a die-hard hiker or fanatic mountain biker, head to Agiasos, a quaint mountain village hugged by thick chestnut forests perfect for adrenalin junkies. Admire the soaring chestnut trees, watch out for varied species of birds, roam the landscape along with the Center of Environmental Education which provides great information for eco-tourists. From here, you can easily cycle through Lesvos’ mountain and coastal villages, as a network of roads that spans the island is a perfect route for eco-tourists. As you travel by bike, stop at the many rivers, tidal pools and ponds that have blessed Lesvos with important ecosystems. Watch for frogs, turtles and a wide variety of snakes. 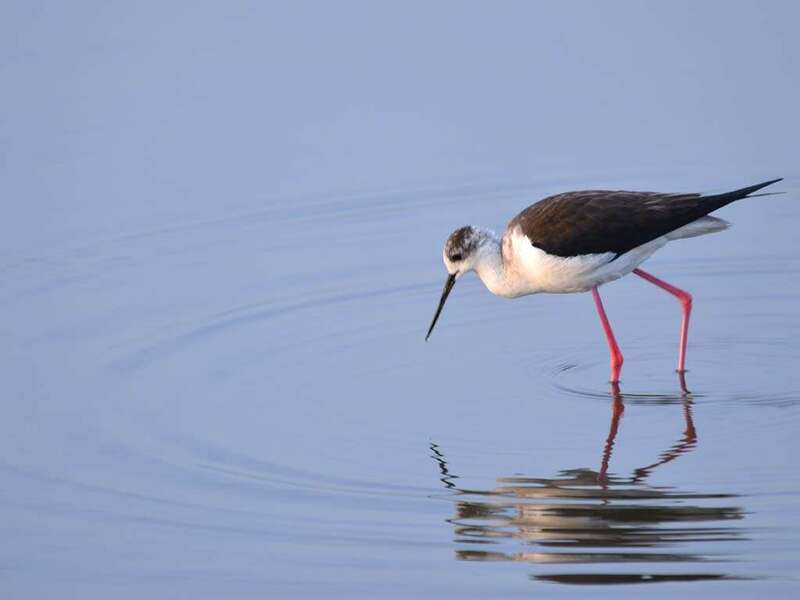 Bird-watchers, you’ll love the island’s many wetlands – especially since Lesvos is known for its significance for migratory birds and as such is very proud of the many species of birds that find shelter in its ecosystems and which are rarely seen in the rest of the continent. In Lesvos you’ll be happy to know you’ll be able to observe flamingoes, harriers, kingfishers, goshawk, eagles, buzzards, cormorants, falcons and kestrels. The most important area for birdwatching is Kalloni Bay which is part of the Natura 2000 network and encompasses coastal areas and lagoons. Then head to Vatera Wetland. This river estuary is buzzing with varied species of flora and fauna and of course many birds. Another must-see is the Dipi Larsos wetland which features beautiful flora and rare reptiles as well as migratory birds. Lesvos is also the ideal destination if you love volunteering and also love animals because of the Lesbian Wildlife Hospital. This non-profit organization depends upon the donations and time of all animal lovers. It takes in and treats all wild animals as well as domestic animals and is a proud member of the European Wildlife Rehabilitation Association. If you’re interested in the island’s wildlife including birds and reptiles, and want more insight into the challenges these animals face, and are eager to learn more about helping wild animals and Lesvos’ ecosystems in the process, volunteer your time in this wonderful organization. For fans of thermal springs, Lesvos is the island for you. A quarter of the country’s springs are located here, and you’ll be able to relax in the hottest thermal springs in Europe at Polichnitos’ mineral springs which are chlorinated to an optimal amount of radioactivity. Other thermal springs like Loutropoli and Eftalou – which reach temperatures of 46 degrees – are known for their therapeutic properties. When you just want to take it easy, Lesvos generously offers a mosaic of stunning beaches along its coast. Take a dip in the sapphire waters off Molyvos beach then picnic on the large black stones that turn the coast into obsidian lace. Swim at Eressos, with its gorgeous sandy beach and crystal blue sea. IF you want to feel like you’re on a deserted island, hike to Charamida beach. Then stop for Lesvos’ world-famous sardines and mouth-watering ouzo. Then stop by one of the many cooperatives and taste the island’s organic extra virgin olive oil. If you’re there in the fall, you’ll be able to buy agoureleo, which is extra-virgin olive oil made from under-ripe olives. Because no matter where your passions lie, whether in nature, history, architecture, arts and crafts or just having fun, Lesvos offers one-of-a-kind treasures just for you. You’ll feel a valued part of its living history. Lesvos is a popular destination for birdwatchers as the island attracts a wide variety of migratory birds throughout the year. Blessed with flowing bodies of water, Lesvos is proud of its many ecosystems that provide crucial shelter to species rarely seen in the rest of the continent, such as Black Storks, Ruddy Shelducks and Kruper’s Nuthatch. 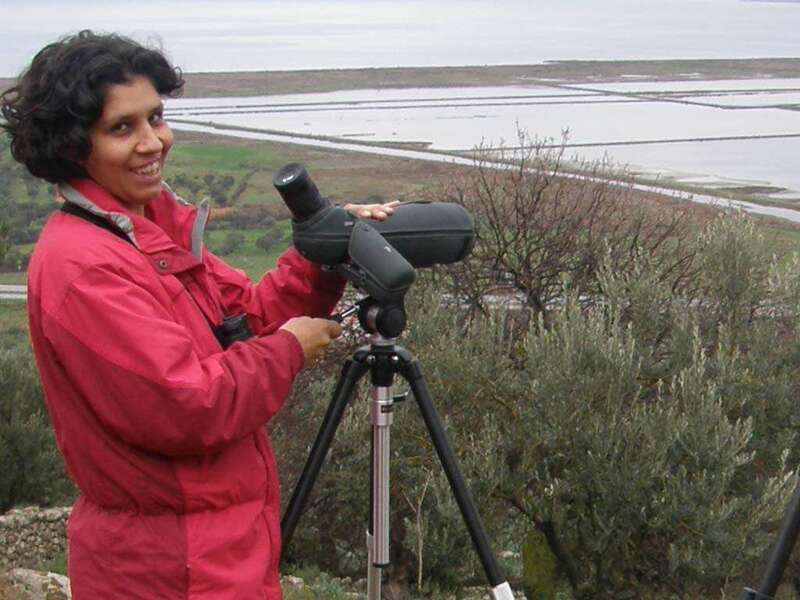 Avid birdwatchers will enjoy the many wetlands that attract flamingoes, harriers, kingfishers, goshawk, eagles, buzzards, cormorants, falcons and kestrels, among other species. The most important area for birdwatching is Kalloni Bay which is part of the Natura 2000 network and encompasses coastal areas and lagoons. Then head to Vatera Wetland. This river estuary is buzzing with varied species of flora and fauna and of course many birds. Another must-see is the Dipi Larsos wetland which features beautiful flora and rare reptiles as well as migratory birds. Lesvos is a popular island for sea canoeing, as a number of its busy beaches boast shops that provide canoes to vacationers. Explore the coastline by sea if you’re seeking an eco-friendly way of touring the many seaside villages. It’s also a wonderful way of gaining access to hidden bays and secret coves that are only known to locals. Lesvos is a wonderful place for sea kayaking enthusiasts. The island’s beautiful coastline and hidden coves and beaches make sea kayaking an ideal sport for adrenalin junkies. 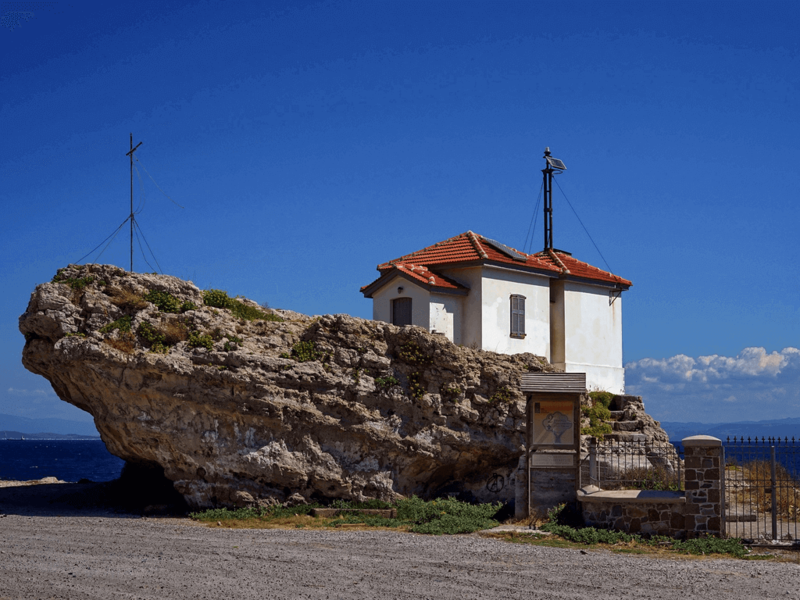 Molyvo is a popular place to start as the rocky beach and hidden thermal spring nearby are just a few of the area’s gems. You can tour the entire island and make your way through wonderful hidden beaches perfect for a quick dip, and quaint villages ready to greet hungry travelers. Avid cyclists will fall in love with this beautiful island. Quaint mountain villages, sleepy seaside towns, ancient churches, archaeological remains, thick olive groves and sprawling chestnut forests will make your cycling tour of Lesvos a one-of-a-kind experience. A 400 mile network of paved roads that spans the entire island, including remote mountain villages, makes Lesvos an ideal destination for all cyclists. If you love mountain routes, begin in Agiasos which is hugged by a thick chestnut forest. From there roam the mountain ranges of Lepetymnos and Olympos and then head to the coast. If you prefer cycling with sea vistas to lure you onward, cycle along the coastline. With waters as clear and enticing as the sea lapping up on Lesvos’ shores, it’s no surprise Lesvos is an ideal place for divers of all levels. There are a number of certified diving schools throughout the island that will help you feel confident in your diving prowess or simply rent you the necessary equipment if you’re an avid diver with lots of underwater hours under your belt. There are a number of spectacular diving sites off the coast of this beautiful island. Myrmigi Reef boasts a thriving ecosystem of colorful marine life, few currents, a reef that reaches a depth of 33m and many corridors to explore. Molyvos Reef will enchant you with a rock-clustered seascape with many colorful sponges, while Agios Georgios Reef will make you feel like an underwater archaeologist as you explore a seascape dotted with amphorae. 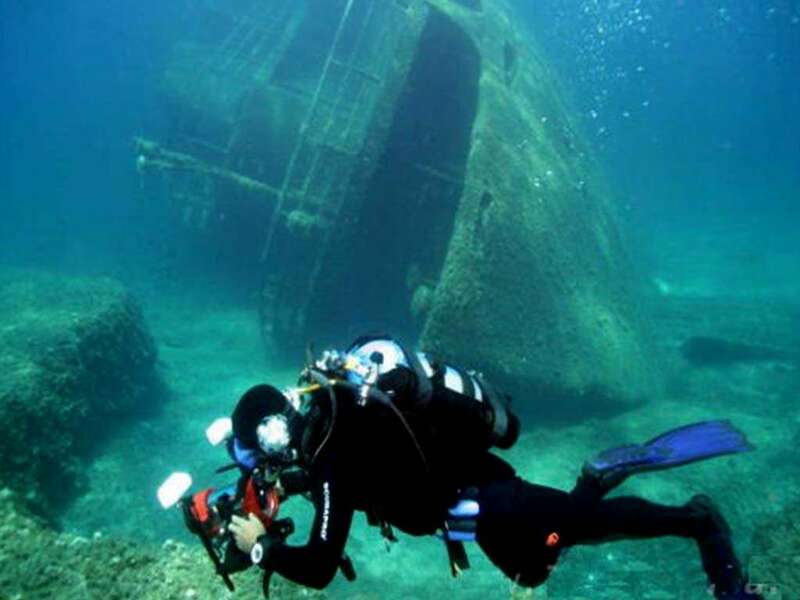 If you’re a history buff, make sure your diving adventure takes you to Lamna Reef where you’ll be regaled with an underwater world scattered with cannons, anchors and marine life. At Orgi Villa Dive Site you’ll be able to admire a wall dive with colorful sponges, and at Fara Cave you’ll be able to enter a large chamber in utter darkness. If vibrant ecosystems are your primary interest, head to Feggameni Reef where pinnacles rise from the bottom of the sea like pillars and provide an ideal habitat for larger fish. For an up-close exploration of a shipwreck, go to Korakas Wreck where a merchant ship from 1943 lies in the seabed and can be explored by swimming through its interior. If there’s one thing Lesvos is very proud of, it’s the island’s food and ouzo. Head to one of the many seaside tavernas or mountain eateries and enjoy a mouthwatering sample of the island’s wonderful cuisine. Vegetarians will be delighted to know Lesvos is proud of its many vegetarian dishes, including fried cheese-stuffed zucchini flowers (Lesvos’ local zucchini variety is called sfouggato), juicy beets covered in garlic sauce, sautéed fresh organic green beans drizzled with organic extra-virgin olive oil, grilled zucchini and eggplant covered in local cheeses and garlic sauce and fresh bread baked in stone ovens. 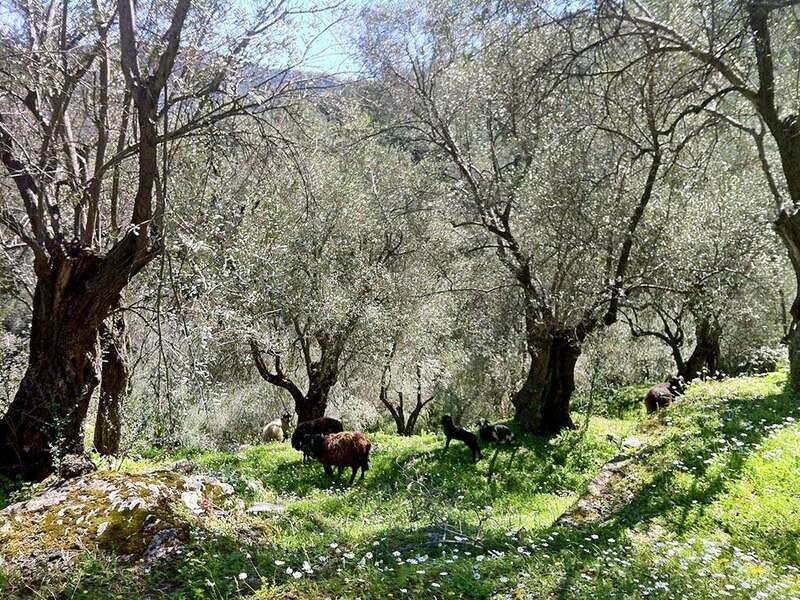 As you stroll around the island’s many quaint villages, taste the many local cheeses such as graviera, wonderful honey varieties, and organic extra-virgin olive oil. Greece’s trademark alcoholic drink hails from Lesvos, so go to Plomari Town to sample Lesvos’ famous Plomari Ouzo straight from the source. Stop by one of the many tavernas and have a glass of ouzo then go to one of the many distilleries in the town and see for yourself how this drink is made. If you’re not a vegetarian, couple your ouzo with some sardines from Kalloni Bay – they’re exported everywhere. 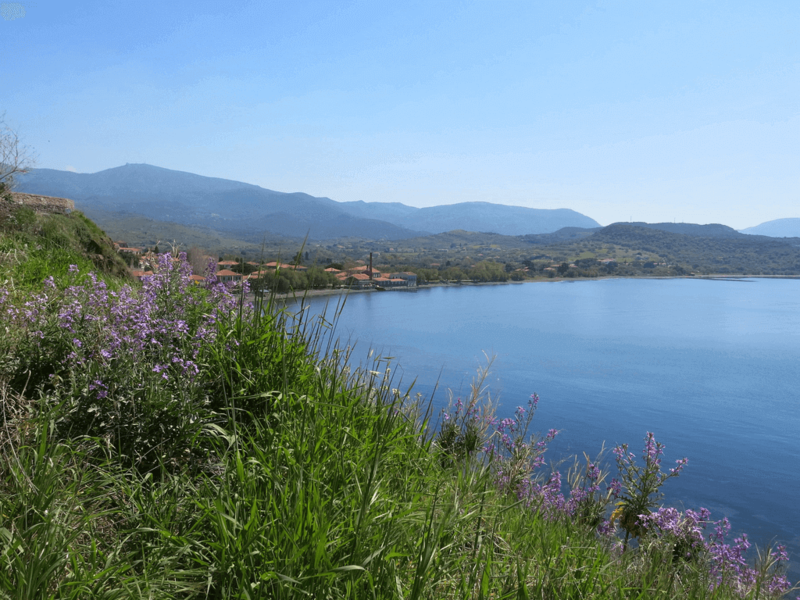 Lesvos boasts an interesting landscape with lush forests, wonderful orchards, enchanting groves and a network of rivers and streams that attract varied species to make up vital ecosystems. Avid hikers will find much to fall in love with as they explore this beautiful island. Make it a point to stop by old churches and explore remote villages as you hike your way through Lesvos. There are no set trails, but Molivo is a wonderful place to begin your journey. Your path up the hills will take you by the castle, past the hot springs and eventually to the nearby mountain and Kastelia Forest. Agiasos village is another place to begin your hiking trip. This quaint mountain village is hugged by a lush chestnut forest which supports a vital ecosystem – so explore the surrounding area and make your way along the mountain to other villages. Admire the lush green landscape and keep an eye out for migratory birds and reptiles. You must stop by the Wild Animal Shelter in Koutra Horafi Forest next to Agiaso before you hike your way to Plati Forest and follow the coast of Geras Bay. 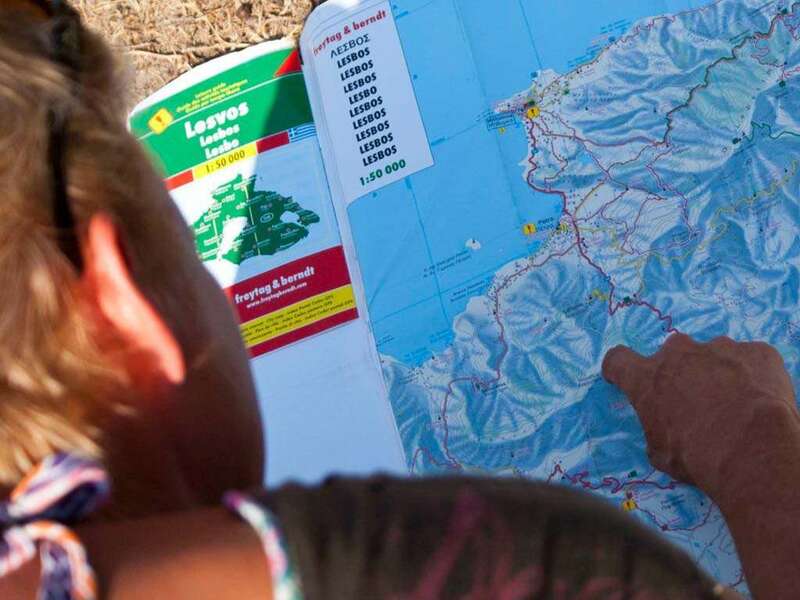 If you’re an avid hiker, explore the island’s many forests while enjoying your favorite sport. Trek through the lush forest of Ahlada Peristeries in the north-east, look out for rare species of birds in Koukouvagies-Ahladies Forest and stop by the wild animal shelter in Kilada Kelemia Forest in the north-west. Explore the thick groves in Mesoros Agra Forest, where volunteers shelter wounded wild animals then tour the greenest part of the island as you make your way from Maliontas Tavari Chrousos Forest, through the Petrified Forest to the cool green canopy of Skamniouda Forest and finally through beautiful villages to Kilada Kelemia’s Animal Shelter in the forest. From antiquity to modern times, ceramics and pottery were key parts of Lesvos’ cultural, artistic and economic richness. Mandamadiotika koumaria, or ceramics in the Mandamadiotiko tradition, are famous for their design and popular as household items. Head to Agios Stefanos village in the Mantamados area to take a peek into what it was like to run a traditional pottery workshop, because this village will take you back a century. Once a pottery center that exported ceramics to Egypt and Asia, you’ll feel like the area’s most famous potter, Mandamados, is still at work somewhere, huddled over his potter’s wheel. Dotting Agios Stefanos you’ll find a number of workshops frozen in time, crafting household items using Mandamados’ timeless techniques. Purchase Mandamadiotika koumaria, which are pitchers made from argyle clay that are perfect for keeping water cool. Admire the traditional minimalistic designs that are the area’s trademark to this day. Lesvos’ world-famous thermal spas are some of the best in Greece, so if you also want to combine some healthy thermal treatments along with your sports adrenalin highs, this is the perfect island for you. 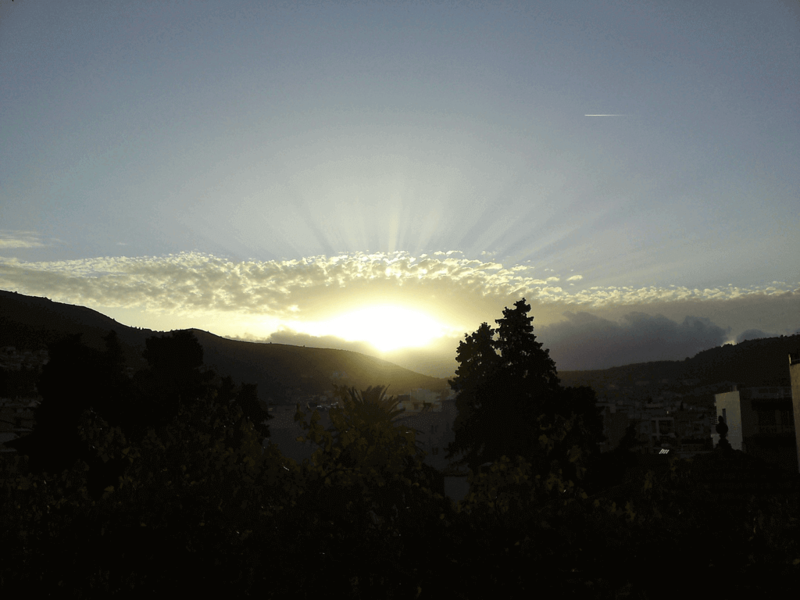 Lesvos is known for its strong summer winds, called meltemia, that reach strengths of 7, 8 and sometimes 9. As such, this island is perfect for windsurfing, so if you’re a windsurfing enthusiast or would like to learn, Lesvos has both the infrastructure and conditions that make it a perfect windsurfing destination. All the popular beaches have equipment rentals and qualified teachers, so drop by and ask them for tips. Lots of windsurfers enjoy this sport throughout the summer months so make it a point to visit the island. Popular beaches for windsurfing include Anaxos Ambelia, Kampos, Agios Isidoros, and all the big popular resort beaches. Lesvos is situated in a place of strategic importance in the Northern Aegean and played a crucial part throughout history. 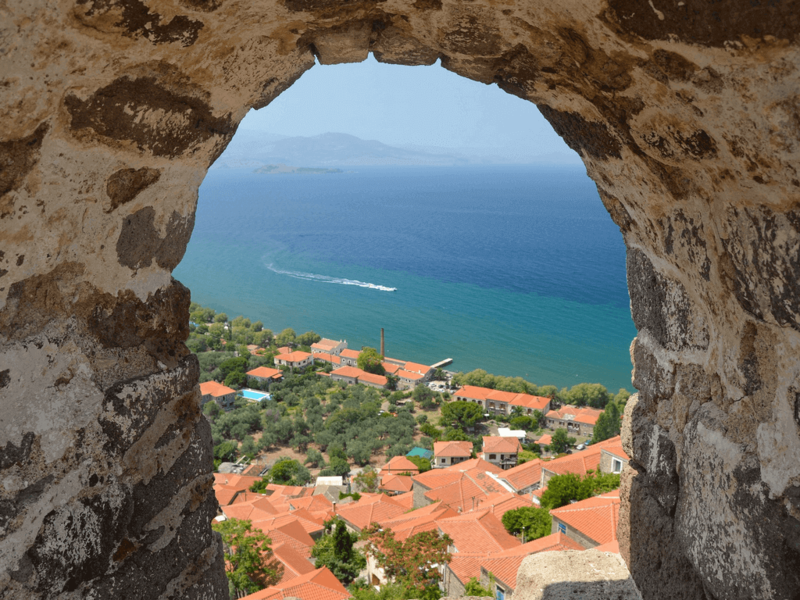 Romans, Venetians, Genoese and Ottomans occupied this island, while Lesvos itself saw its culture and economy rise and decline along with its historical and political history. Lesvos is extremely proud of its beautiful natural landscapes and varied and thriving ecosystems. Cycle or hike through the island to admire its lush forests and the many important wetlands, vibrant tidal pools, ponds and rivers. In fact, Lesvos is the only place in Europe where there’s a population of Asian squirrels. Birdwatching is a very popular sport in Lesvos. Blessed with flowing bodies of water, Lesvos is proud of its many ecosystems that provide crucial shelter to species rarely seen in the rest of the continent, such as Black Storks, Ruddy Shelducks and Kruper’s Nuthatch. The island attracts a wide variety of migratory birds throughout the year. Avid birdwatchers will enjoy the many wetlands that attract flamingoes, harriers, kingfishers, goshawk, eagles, buzzards, cormorants, falcons and kestrels, among other species. 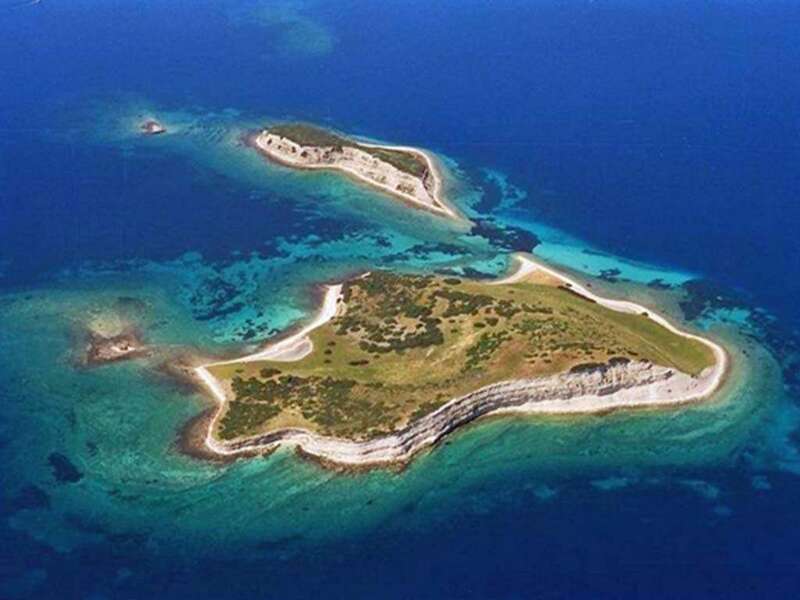 The most important area wetland is located in Kalloni Bay, encompasses coastal areas and lagoons, and is part of the Natura 2000 network. Vatera Wetland is another important ecosystem you’ll enjoy exploring. This river estuary is buzzing with varied species of flora and fauna and of course many birds. Another must-see is the Dipi Larsos wetland which features beautiful flora and rare reptiles as well as migratory birds. The island’s many forests will astound you with their lush natural beauty. 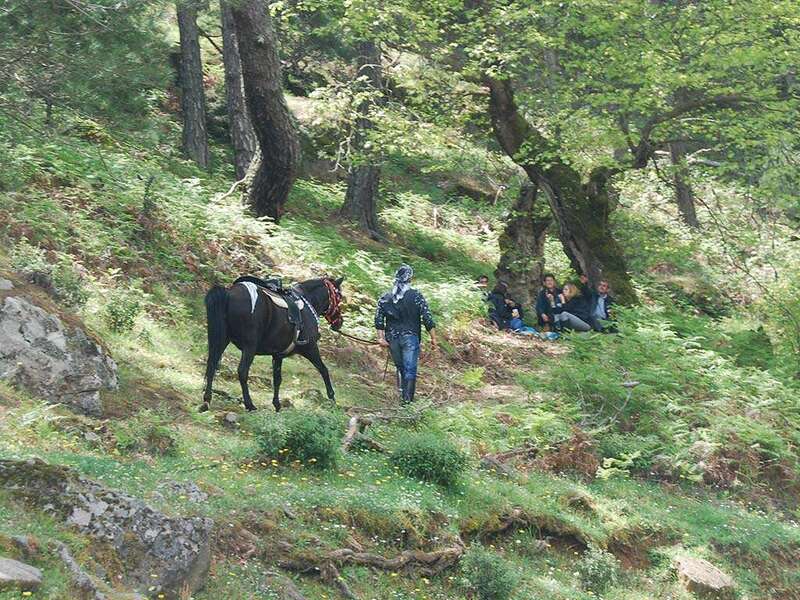 Hiking is a wonderful way of admiring Lesvos’ nature while enjoying your favorite sport. Trek through the lush forest of Ahlada Peristeries in the north-east, look out for rare species of birds in Koukouvagies-Ahladies Forest and stop by the wild animal shelter in Kilada Kelemia Forest in the north-west. Explore the thick groves in Mesoros Agra Forest, where volunteers shelter wounded wild animals then tour the greenest part of the island as you make your way from Maliontas Tavari Chrousos Forest, through the Petrified Forest to the cool green canopy of Skamniouda Forest and finally through beautiful villages to Kilada Kelemia’s Animal Shelter in the forest. Molyvos is another beautiful part of the island that features a very varied natural landscape, with hot springs and nearby mountain and Kastelia Forest. Agiasos village is another area which is known for its natural wonders. This quaint mountain village is hugged by a lush chestnut forest which supports a vital ecosystem – so explore the surrounding area and make your way along the mountain to other villages. Admire the lush green landscape and keep an eye out for migratory birds and reptiles. You must stop by the Wild Animal Shelter in Koutra Horafi Forest next to Agiaso before you hike your way to Plati Forest and follow the coast of Geras Bay. Lesvos is extremely proud of its beautiful natural landscapes and varied and thriving ecosystems. Cycle or hike through the island to admire its lush forests and the many important wetlands, vibrant tidal pools, ponds and rivers. In fact, Lesvos is the only place in Europe where there’s a population of Asian squirrels. You’ll also see turtles, snakes and frogs on this island, so if you love looking out for the local fauna, keep an eye out. Birdwatching is a very popular sport in Lesvos. The island’s many forests will astound you with their lush natural beauty. 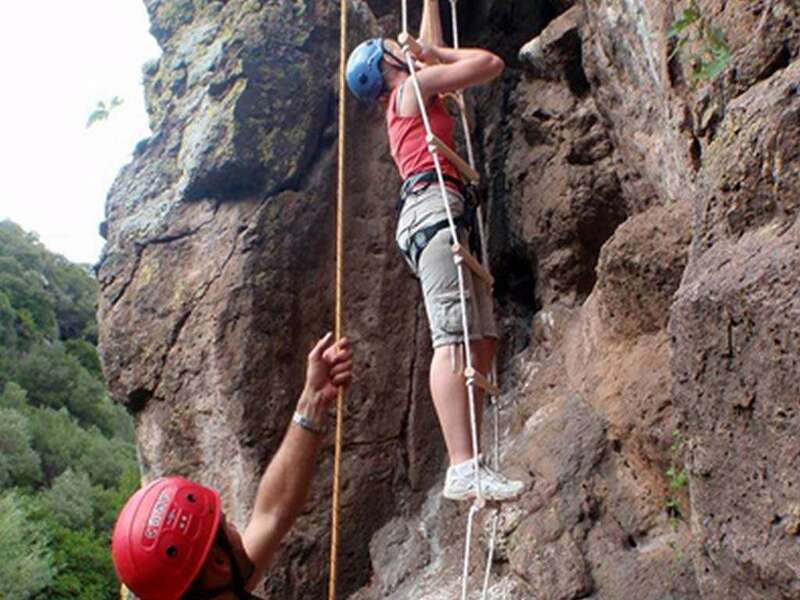 Hiking is a wonderful way of admiring Lesvos’ nature while enjoying your favorite sport. Trek through the lush forest of Ahlada Peristeries in the north-east, look out for rare species of birds in Koukouvagies-Ahladies Forest and stop by the wild animal shelter in Kilada Kelemia Forest in the north-west. Explore the thick groves in Mesoros Agra Forest, where volunteers shelter wounded wild animals then tour greenest part of the island as you make your way from Maliontas Tavari Chrousos Forest, through the Petrified Forest to the cool green canopy of Skamniouda Forest and finally through beautiful villages to Kilada Kelemia’s Animal Shelter in the forest.